Take 1–2 capsules maximally 3 times a day, preferably with a meal or between meals, in divided doses. It is assumed that optimal dose of vitamin B6 for an adult amounts for 50–100 mg (1–2 capsules), maximally 3 times a day. To achieve the expected effects, it is worth to start the supplementation with the smallest dose (1 capsule a day) and then gradually increase it. You should remember that prolonged use of big doses (more than 200 mg) can result in neuropathy and pyridoxine addiction, which is why it is recommended to take breaks. Demand for vitamin B6 is determined by the amounts of consumed protein. It is assumed that people on high-protein diets have increased demand for vitamin B6. Vitamin B6 can be helpful in case of morning sickness associated with pregnancy. The recommended dose amounts for 50 mg a day. Before starting the supplementation, both pregnant and breast feeding women should consult a doctor. The combination of as many as 12 bacterial strains. 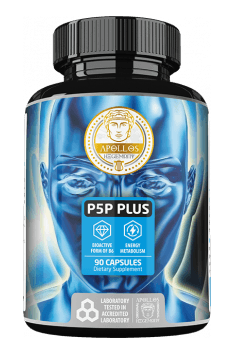 Complex support of the digestive and immune system. Bovine lactoferrin in the patented form, Bioferrin®. It supports immunity and shows antimicrobial effect. Magnesium malate - a form of magnesium which is well-absorbed in the human organism, from which we may derive additional benefits thanks to the presence of malic acid residue. It is engaged in the transformations aiming at energy extraction in the organism, thanks to which supplementation with malate may positively influence energy metabolism. Another advantage of magnesium malate distinguishing this form among other numerous forms of this element is its ability to bind and neutralize toxic heavy metals. It may be an antidote for their aggregation in the organism, demonstrating neuroprotective effect. Taking care of the proper magnesium supply is important due to the health of the cardiovascular system. Its insufficient amounts in diet may cause the increase of pressure and disorders of the rhythm of the heart work. Researchers indicate the correlation between magnesium deficiencies and increased risk of heart attack. Because of the health of the circulatory system, the positive influence of magnesium on lipid profile is also important. Moreover, magnesium is an important element to maintain optimal sugar metabolism. Benefits from its supplementation will be also noticed by people dealing with diabetes, as it was proven that it may limit the development of diabetic polyneuropathy. Proper supply of magnesium is important also due to the endurance of bone tissue in the organism. Magnesium belongs to the group of elements that build and strengthen the structure of bones. When talking about magnesium activity, we must not forget about its positive influence on the functions of the nervous system. It is conducive to proper nervous transmission and neuromotor coordination.